Martin Armstrong's forecasts and cycles work foresees a key turn point in September 2015, "Big Bang", and currently points to a problem in the bond markets, a strong dollar and US stock market. He currently sees gold weak but later gains as the bond markets weaken. Seeing beginnings at the periphery now in Greece, China. Only US strong, pushing up US$. If US stockmarket chops then initial sell off then take off to upside in 2017. Phase transition as capital flees bonds to stock markets. Current concentration of capital in bond markets. Sitting on money because don't know what to do. 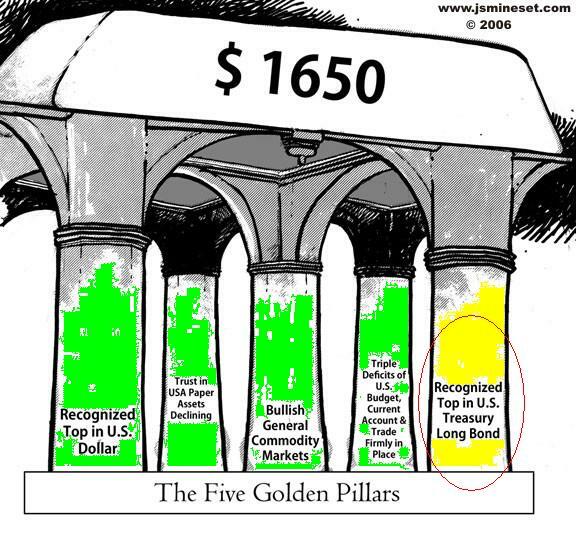 If Stock market increases then Fed will raise interest rates, then higher dollar.